Vézelay is located in the Yonne department, half way between Beaune and Sancerre, on the north-eastern edge of the Morvan mountain range and some 50km south of Chablis. It is a defendable hill town famous for the 11th century Romanesque Basilica of St Magdalene, a designated UNESCO World Heritage site. The hilltop location has made it an obvious choice for habitation since ancient times. The first traces of human settlement date from 2300-2200 BC., close to the source of salt water springs, said to be the most saline source of water in Europe. In the first and second century, about two thousand shafts were dug to the south-west of town. Legend has it that the locals would come and ‘steal’ the water with a view to extracting the valuable salt, something that was taxed heavily during the Middle Ages. It was the Romans, during the first century, who were responsible for establishing vineyards on the hill of Vézelay. In 1689, a temple, in honour of Bacchus was discovered within the foundations of the old church of Saint-Etienne, by the parish priest, during the construction of a new bell tower. In the 9th century, during the reign of Charles the Bald, Benedictine monks were given land to build a monastery. According to legend, not long before the end of the first millennium (around 882AD), a monk named Baudillon brought relics of Mary Magdalene to Vézelay from Saint-Maximin-la-Sainte-Baume in Provence, in an attempt to protect them from marauding Saracens. In 1058, Pope Stephen IX confirmed their authenticity, leading to an influx of pilgrims, something that has continued to this day. Between1050 and 1250, Vézelay became the largest Magdalenian sanctuary in Western Europe and a major starting point for pilgrims on their way to Santiago de Compostela, bringing significant wealth to the town. In 1096, Urban II preached the First Crusade and by 1146 the towns reputation was such that Bernard de Clairvaux preached the Second Crusade before Louis VII and his knights. Half a century later, in 1190, the Frankish and English factions of the Third Crusade, which included Philippe Auguste and Richard the Lionheart, met at Vézelay before departing for the Holy Land. Bourgogne-Vézelay should be considered a sub-region to Burgundy, much in the same way as Chablis or Saint-Bris are. The vineyards surround the hillsides below the town, extending to the neighbouring communes of Asquins, Saint-Père and Tharoiseau. It’s primarily a white wine producing area, planted to Chardonnay, but supplemented with Pinot Noir and a little Melon de Bourgogne. The vineyards were revived during the 1970s after being decimated by phylloxera in 1884. Apparently, this was the last region in France to be affected by the blight, the town’s saintly connection failing to protect the vines. Having ‘benefitted’ from the research that had been carried out at the end of the last century, a decision was made to plant hybrids or even native American vines, rather than re-establishing grafting Chardonnay and Pinot Noir vines. The reason was to sate the demand of the local Parisienne market for inexpensive wine, but the advent of the Great War and the lack of man-power to tend the vines ensured the demise, the final blow coming with the building of the Paris to Marseille railway, which helped to undermine any remaining market for poor quality, cheap wines. Replanting with authentic varieties started in 1975 with the region delimited to some 333 hectares of land. In 1997 the vineyards obtained the right to label their white wines as Bourgogne-Vézelay. This is set to become a free-standing appellation, with the title of Vézelay with the 2017 vintage. For the moment, the Pinot Noir carries the more-humble generic Bourgogne appellation. 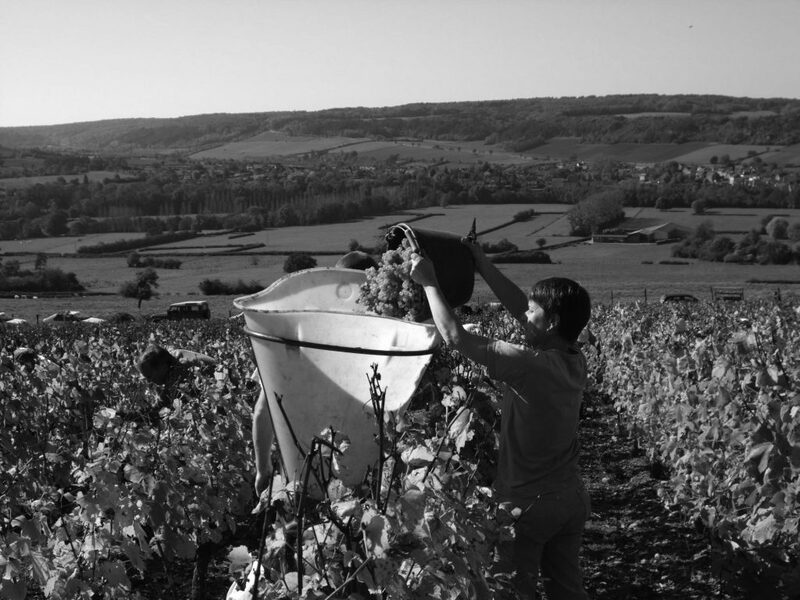 Only around one-third of the planting area is in use with some the 20 independent growers and a further eleven vignerons delivering grapes to the local cooperative, the Cave Henry de Vézelay. Production remains small, with most bottles going to local restaurants and pilgrims visiting the town from all over France and beyond. Created in 1989, this is the smallest co-operative in Burgundy, controlling some 34 hectares of vines. One founder-member was Jean Montanet, a native of Normandy, who started to plant vines in 1986 to supplement his cereal and sheep farming activities. 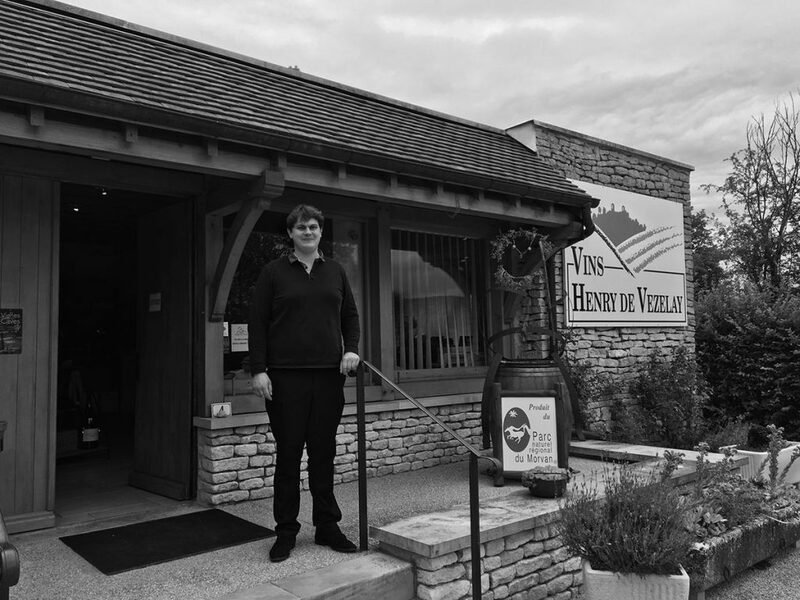 He was appointed President of the new venture and he remained a member for 15 years, before leaving to create his own domaine. A second member was Marc Meneau, who owned the local Two Michelin Starred L’Espêrance restaurant in Saint Père. Meneau, now in his 70s, retired a few years ago, closing his doors in 2014. Both men were instrumental in putting the wines of Vézelay back on the vinous map. The early years were a challenge (the vintages between 1991 and 1995 were mostly forgettable), but with the influence of Marc Meneau, they received help and advice from Bernard Raveneau, who was employed as a consultant from 1990 and made the wines here in 1993 and 1994, before returning to the family domaine in Chablis. Of the 34 hectares planted, 80% are Chardonnay, with 15% Pinot Noir and the remaining 5% being split between Melon de Bourgogne, Gamay and Aligoté; the last two varieties being used exclusively in the production of Crémant. 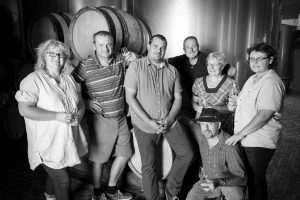 None of the members are full-time vignerons. Most grow cereals, but their ranks also include one teacher. Since the 2017 vintage, the cellar has been under the control of Quentin Gornouvel, a Burgundian who has worked in the Auxerrois for the last 20 years, after training in both Reims and Beaune. Prior to this, he was making wine in India as well as working a stage in New York State. Some 40% of sales are through the cellar door, with the local market extending into Paris and the north. Production of Chardonnay is around 50,000 bottles per year, but the cellar is also obliged to sell wine in bulk to the négociants as bottled wine sales are not large enough to soak up all the production. Of the two different expressions of Chardonnay, the generic Cuvée Henry de Vézelay is raised in stainless steel tanks, whilst the Prestige enjoys 13 months in older barrels. Both wines go through malo-lactic fermentation and bottled with the lightest of filtrations. The generic Pinot Noir is also raised in tank. It is light, pure and is in the same style as the other Pinot’s found in the Yonne.